Raise your hand if you've ever driven by the exit for Zzyzx Road, while speeding along Route 15 on your way to Las Vegas, and wondered at all about that name. I know when I was a kid that name always fascinated me. It was also very useful when you needed an X, Y and Z to finish a game of Alphabet soup. I was on the final day of my vacation last October when I drove the 4.5 mile, part dirt, part paved road to Zzyzx. I once again credit Huell Howser for inspiring me to visit an amazing spot in California. You can enjoy his visit by clicking here. Once known as Camp Soda and Soda Springs, the U.S. Army established an outpost here in 1860. Miners later processed the adjacent lake minerals for a number of years and in 1906 the Tonopah & Tidewater Railroad established a stop here. 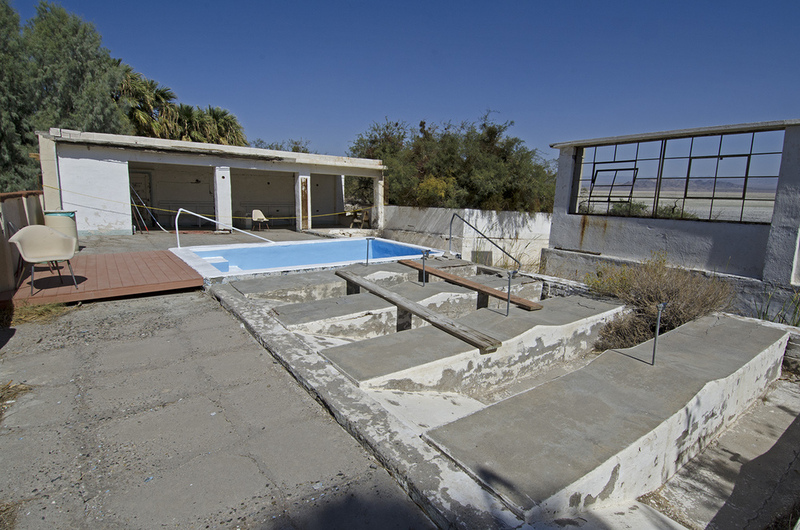 From 1944 to 1974, a Dr. Curtis H. Springer operated a health resort at the site he renamed "Zzyzx Mineral Springs." He built a number of buildings and created the large pond at this spot. He used the springs to bottle his mineral water, claiming they held restorative powers. The good doctor eventually had to leave his resort, due to some, ahem, alleged misuse of the land. 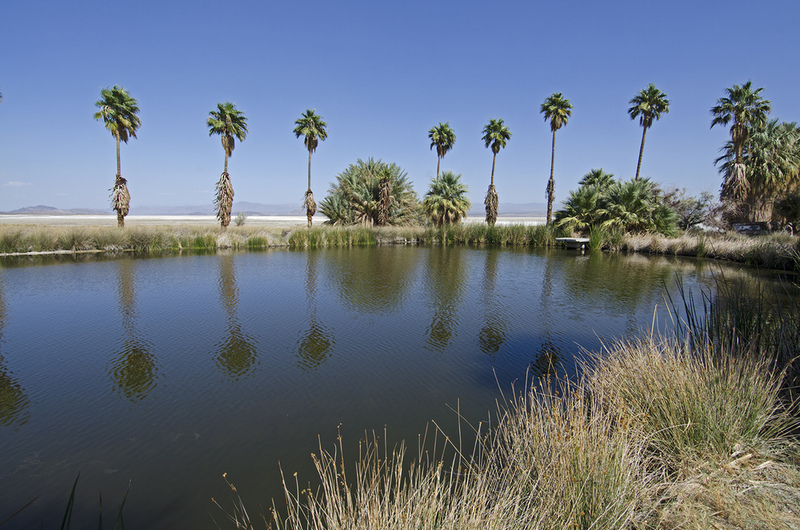 Today, Zzyzx is home to the Desert Studies Center, which is part of the Mojave National Preserve. Its purpose is to provide opportunities to conduct research, receive instruction and experience the Mojave Desert environment. There were a few cars near the buildings while I was there, but I didn't see any people. I wandered around for a bit, took some pictures, and cut my head on an old rusty window frame on the abandoned pool building. The pool building is quite interesting and must have been quite the fancy place back in the day. 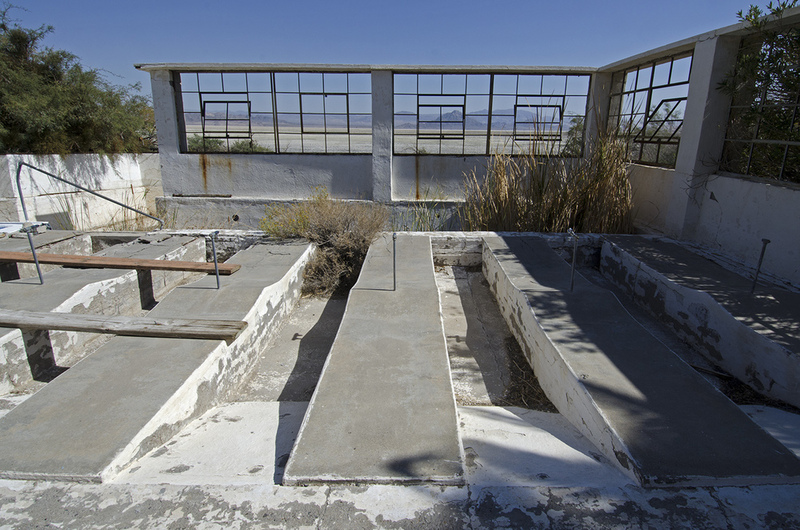 There were individual soaking tubs inside the building, presumably filled with hot mineral water from the springs. Outside, a nice pool and what appears to be additional soaking troughs. A nice view out to the dry lake too. The pond is very impressive and photogenic. 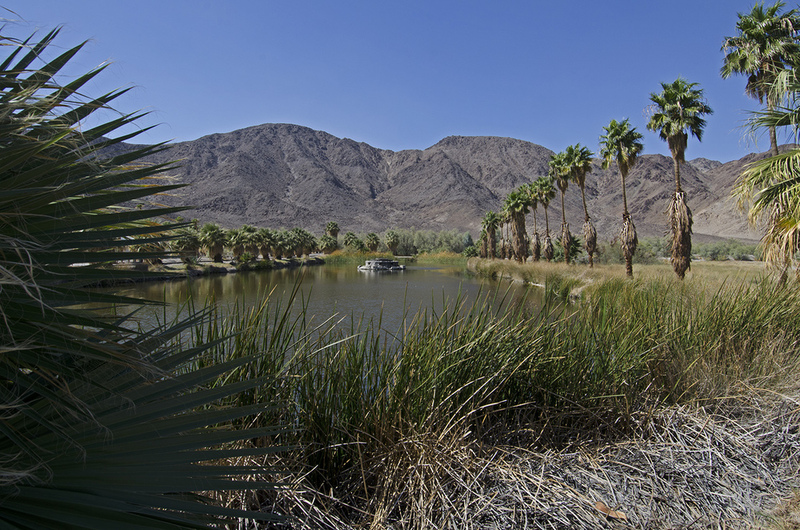 Lined with lush vegetation and tall Palms, it is literally an oasis in the desert. I bet there were some great parties here back when the resort was thriving. 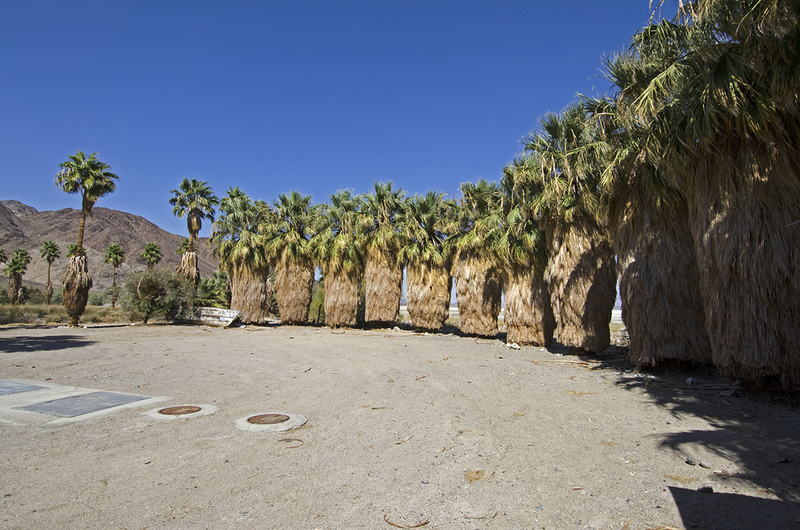 Next time you're driving by, take an hour to visit Zzyzx to see what you can find. It's a one-of-a-kind place.